Season 1 of Street Fighter V has officially come to a close with their most recent update. And with that, Season 2 begins. After a glimpse of Street Fighter V Season 2 with the Akuma, I thought now would be a good time to return to Capcom’s popular fighter. With this huge update comes several new features and content that many fans had anticipated. The biggest new feature here is everyone’s favorite demon fighter, Akuma. Street Fighter V has established itself as a different game, changing familiar characters’ looks and playstyles. Akuma doesn’t follow this trend, however. At first glance, his lion’s mane may seem like a sure sign that changes have come to the raging demon, but looks aren’t everything. As fans have been asking for, the rage-filled character remains pretty faithful to his classic self. Akuma has kept his wide assortment of moves intact, including his aerial fireball, demon flip, and dive kick. Considering that many characters’ move sets have been trimmed down in Street Fighter V, learning Akuma had kept most was a nice surprise. 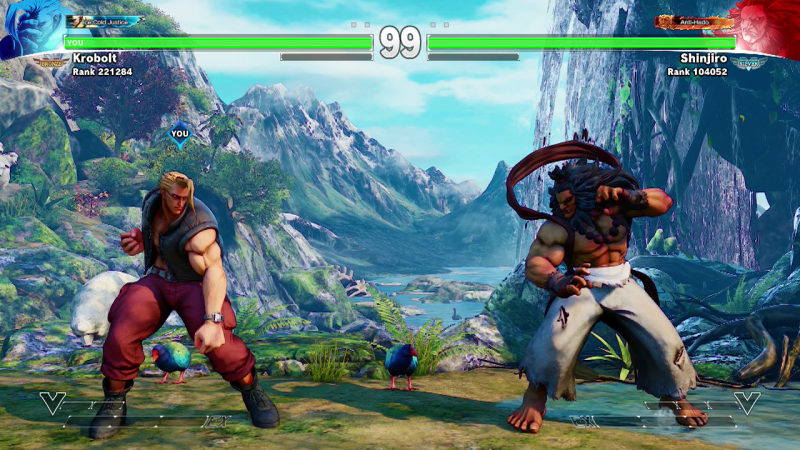 Akuma comes with a more aggressive version of Ryu’s parry, allowing him to follow up with a punch or a kick. This allows for quick punishes for easy-to-read foes. Akuma’s V-Trigger works as a power-up. While in V-Trigger, Akuma can throw diagonal fireballs while jumping backwards, while giving minor buffs to each of his moves. His fireballs are more durable and his Goshoryuken becomes more devastating. Along with his normal super (the Kongo Kokuretsuzan from Street Fighter III) he can use his signature Shun Goku Satsu by using his super while in V-Trigger. I personally think the move should just be available with or without V-Trigger. [caption id="attachment_91931" align="alignnone" width="800"] "Look Nash, everything the light touches is the Pride Lands. 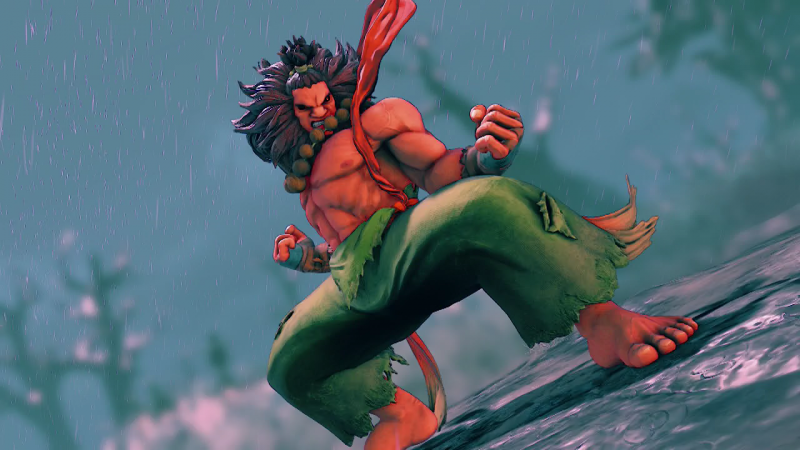 "[/caption] For those who don’t like Akuma’s new look, an alternate costume called “Nostalgia” makes him look as he did in previous entries. Akuma is a great new addition to Street Fighter V. It’s not the arcade mode fans were looking for, but it’s a step in the right direction. A new slew of new holiday content has become available as well. The holiday pack comes with a new stage and six new outfits for Juri, R.Mika, Laura, Karin, Zangief, and Ken. Each outfit will run you $3.99 while the stage will cost you $1.99. All of the holiday content is also available as a bundle for $19.99. https://www.youtube.com/watch?v=aIXOtXnfmDM Outside of content, each fighter has received balance adjustments, such as adjusted hitboxes, frames, and damage output. 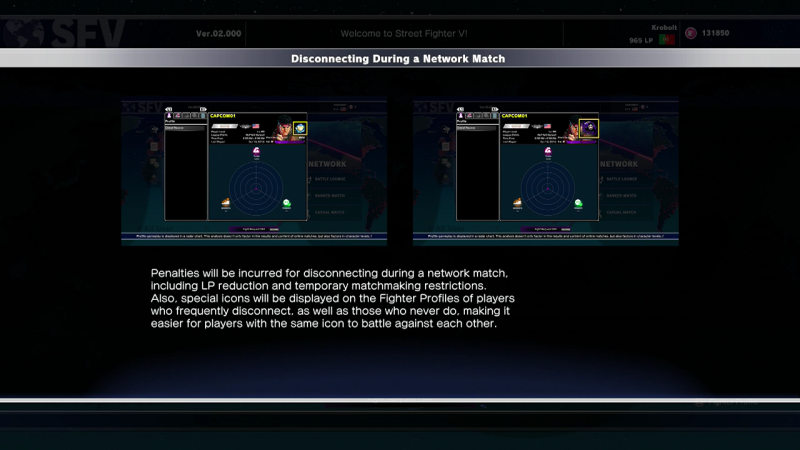 As for the new features, Street Fighter V has patched in several. The Fighter Profile Radar Charts have also been added to each player's Fighter Profile. 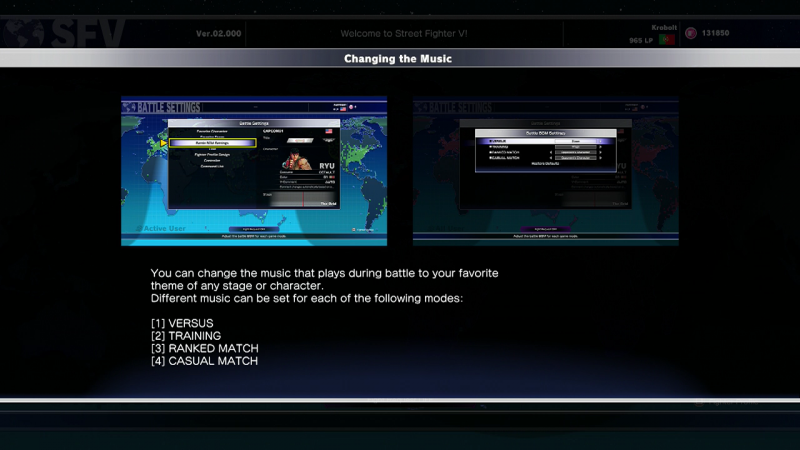 A new Background Music Select has been added giving players the option to select their preferred song for Training and Versus matches. Street Fighter V has taken punishment for rage quitting another step further. Along with losing League Points and being locked out of matchmaking, rage quitters will begin to be paired with players of similar behavior. With this comes a scarlet letter for a rage quitter’s account. The worst offenders and most honorable players will receive an icon on their profile, showing their good or bad intentions. Checking in, it seems like Street Fighter V is taking another small step forward towards a better product. Hopefully, they will continue to add and improve the system they have in place. Here’s hoping that a true arcade mode is right around the corner. Until then, I’ll be sitting here anxiously waiting for Marvel vs Capcom: Infinite.